Large-scale structures in the Universe are a powerful tool to test cosmological models and constrain cosmological parameters. A particular feature of interest comes from Baryon Acoustic Oscillations (BAOs), which are sound waves traveling in the hot plasma of the early Universe that stopped at the recombination time. This feature can be observed as a localized bump in the correlation function at the scale of the sound horizon rs. As such, it provides a standard ruler and a lot of constraining power in the correlation function analysis of galaxy surveys. 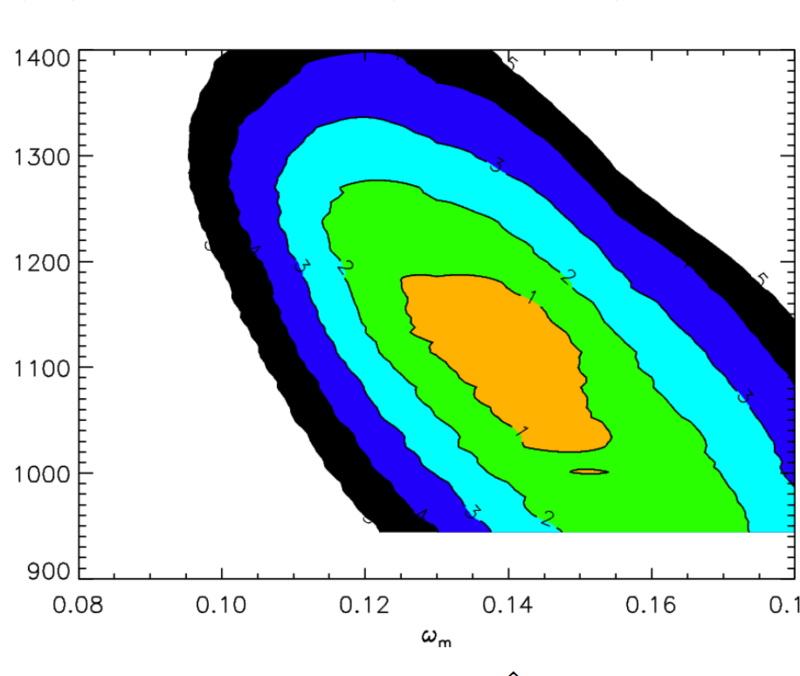 Moreover the detection of BAOs at the expected scale gives a strong support to cosmological models. Both of these studies (BAO detection and parameter constraints) rely on a statistical modeling of the measured correlation function ξ̂ . Usually ξ̂ is assumed to be gaussian, with a mean ξθ depending on the cosmological model and a covariance matrix C generally approximated as a constant (i.e. independent of the model). In this article we study whether a realistic model-dependent Cθ changes the results of cosmological parameter constraints compared to the approximation of a constant covariance matrix C. For this purpose, we use a new procedure to generate lognormal realizations of the Luminous Red Galaxies sample of the Sloan Digital Sky Survey Data Release 7 to obtain a model-dependent Cθ in a reasonable time. The approximation of Cθ as a constant creates small changes in the cosmological parameter constraints on our sample. We quantify this modeling error using a lot of simulations and find that it only has a marginal influence on cosmological parameter constraints for current and next-generation galaxy surveys. It can be approximately taken into account by extending the 1σ intervals by a factor ≈1.3.